Delivering professional service on the Main Line and surrounding areas since 1975, D’Avico’s Auto Repair is a second and third generation family owned and operated auto repair facility located in Wayne, PA. D’Avico’s understands that your vehicle is a major investment—and that’s why we treat whatever automobile you bring our way as if it were our own. With over 90 years of combined service experience, we handle all makes and models of foreign and domestic cars, as well as light trucks. Offering a full service facility from tire repair, oil changes, and light bulb replacements to computer diagnostics, and fuel injection services, D’Avico’s provides you with same day service and a free local shuttle. Experience the difference in one-on-one customer service—come on down to D’Avico’s! 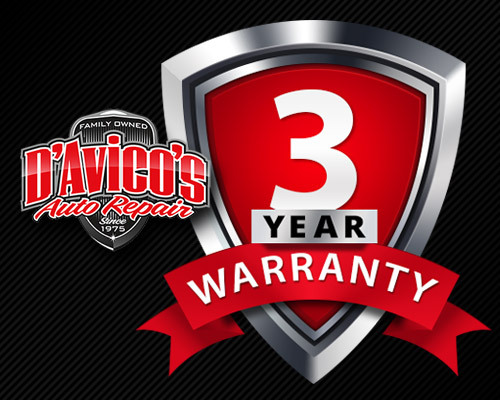 Guaranteeing the highest quality of work and taking great pride in using the latest techniques, we at D’Avico’s Auto Repair stand behind our work with a 3 year or 36,000 mile warranty on all parts and labor. D’Avico’s offers local shuttle service to make it easy to keep your car or light truck running safe and efficiently. We are also within walking distance to the Strafford train station. Give D’Avico’s a try, and you will see how three decades of being the best in customer service makes every difference! 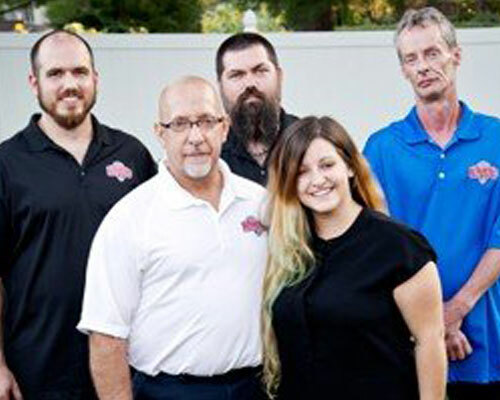 If you are looking for honest and reliable Wayne Auto Repair, our team of mechanics are here to help! Here are links to some of our most popular auto services: Mechanic, Brake Service, Oil Change. Give us a call for all of your auto servicing and preventative maintenance needs. So if you are looking for a Auto Repair in Wayne, PA, call us today to learn more about how we can help you. Family owned and operated since 1975 and have more than 50 years of combined experience in diagnosing and fixing transmission problems. "Great customer service. Ashley and Tim drove me to and from the train station and continued to update me throughout the day. Competitive pricing and their waiting room is lovely. Will recommend them to everyone. Very impressed by my experience." "Awesome experience. I was able to drop my car off in the morning, they drove me in from there and then brought it to me on my lunch. Super convenient and extremely friendly. Highly recommended!" "My experience at D’Avico’s was excellent!! They were able to take me on extremely short notice to patch my tire, and their customer service was top notch!! They had a nice little waiting room, and offered me coffee and a cookie while I waited! I went from being stressed about getting my tire fixed right before the holidays, to absolutely happy and satisfied! Thank you!" 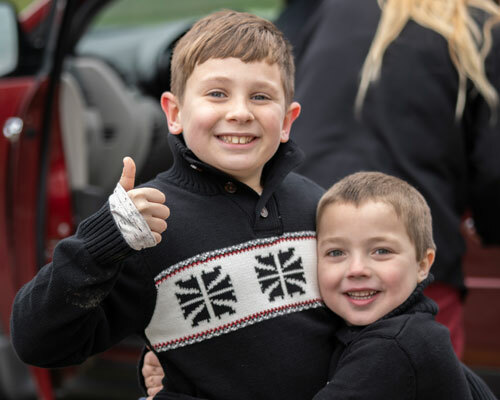 "My first experience with D’Avico’s was today and I am beyond happy, I had an inspection and oil change and everything went great, I actually received multiple updates through the day that told me the status of my car. The employees were extremely pleasant, caring and professional. I would recommend anyone in the Wayne area to go here for any car issues, repairs, inspections, anything!!! What a great company and absolutely wonderful employees! Thank you!" D’Avico’s has been in the auto repair business for over 40 Years. We are known as an honest, dependable and affordable transmission repair shop. We know how to make your State Safety and Emissions Inspection a quick and painless service. We stand behind our work with a 3 year or 36,000 mile warranty on all parts and labor.